Brexit could prevent UK patients from seeking specialist and potentially lifesaving treatment abroad, experts have warned. A House of Lords report on the impact of the country’s departure from the EU on healthcare states that unless and agreement is reached, “rights to reciprocal healthcare currently enjoyed by 27 million UK citizens, thanks to the European Health Insurance Card, will cease after Brexit”. It also warns that post-March 2019, schemes which cover planned treatment of patients in other EU member states, including the S2 and Patients’ Rights Directive, will come to an end at the same time. 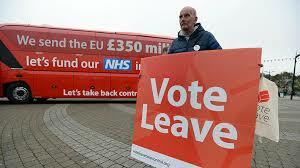 Lib Dem MP Tom Brake, who is championing the pro-EU Best For Britain campaign, told HuffPost UK: “We knew that, contrary to Boris Johnson’s protestations, £350 million per week extra is not going to be made available to the NHS after Brexit. “Now it looks as though healthcare cover in the EU could be withdrawn from 27 million Brits as well. The S2 scheme is used when patients and referred to another specialist treatment provider in another EU state, and has been described as “especially valuable” for patients with rare diseases or in border situations, where their nearest suitable facilities might be in a different country.